There is a genius at work on the border of Philadelphia’s Chinatown and Old City. 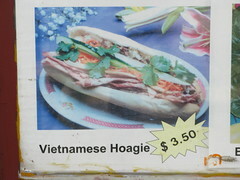 I wish I’d been hungry enough to eat at Cafe 900 where the signature sandwich of Philly has been fused with the street food of Vietnam, resulting in the perfection of Cheese Steak Rolls and Vietnamese Hoagies. 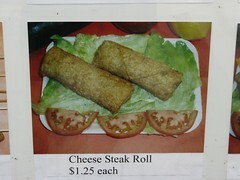 America truly is a greasy melting pot of cultures.